When planning the menu for our dinner, I focused on things that I knew were Jason’s favourites. I didn’t want to be in the kitchen for a long time between courses, so I had to be able to do a lot of the prep in advance. And also, Berkeley, our 12 year old, was my sous chef and helped to get things going as we were eating each course! 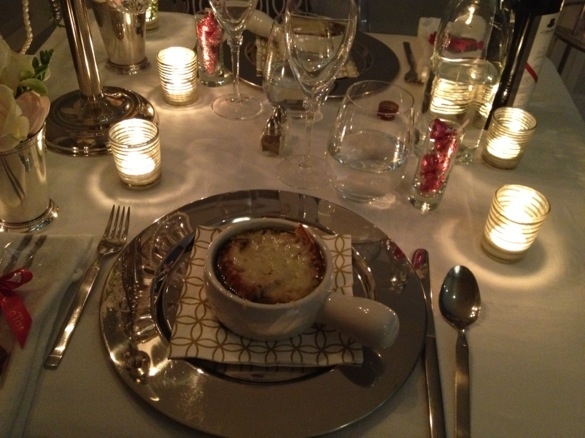 Onion soup is not normally my fave, but I really enjoyed the flavour of this one because of the thyme. Make sure you use the Swiss Gruyere...it makes a big difference! Lamb is so easy to prepare! Just buy a rack of lamb, cut it into chops, sprinkle with a mixture of kosher salt, fresh ground pepper and chopped up fresh rosemary. Broil in the oven and turn over once it starts to brown and crisp up! I warmed up whipping cream with food grade lavender to infuse the cream with the flavour. I melted a mixture of about half dark chocolate and half milk chocolate over a double boiler and added the lavendar infused cream. 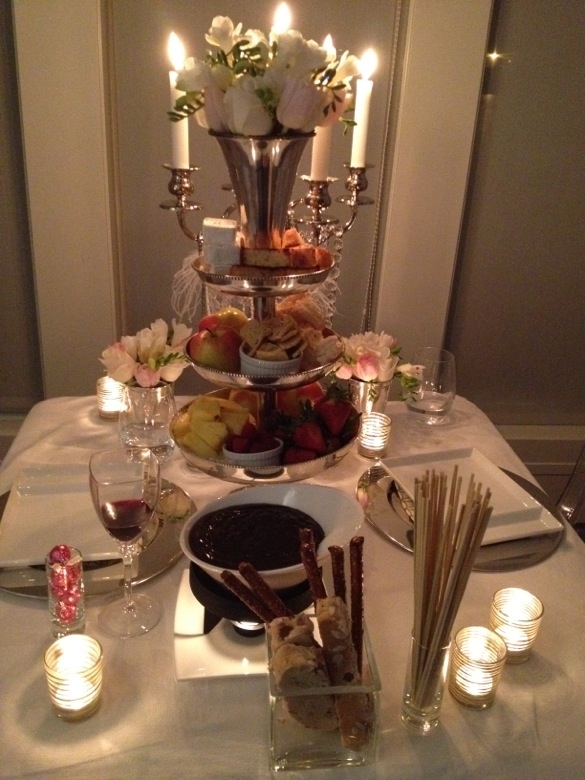 Here’s what we dipped into the lavender chocolate fondue….raspberries, pineapple, strawberries, mango, Milsean artisanal marshmallows in vanilla bean and mayan chocolate, “Dusty Rusty” almond Notti Biscotti, toasted fingers of pound cake, pretzel rods, cranberry crisps, and coconut macaroons. Just be creative as it’s fun to have dippers for your fondue that are a little out of the ordinary…you can find awesome things for this at gourmet food stores. 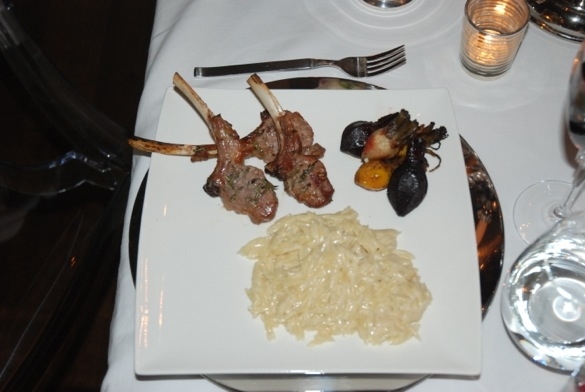 I tweeted Robert Stelmachuk @ChambarWine to find out what he would recommend pairing with lamb. He suggested D’Arenberg “Love Grass” Shiraz. 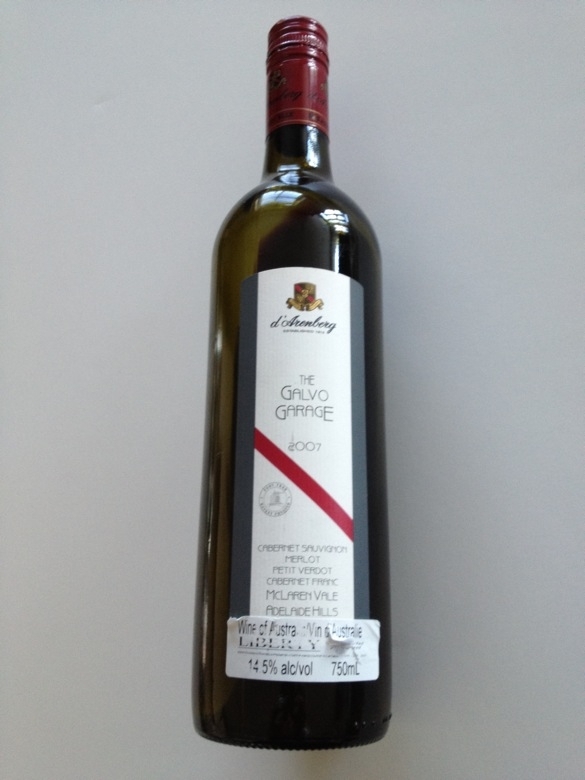 Unforunately, Liberty Wine Merchants did not have it available, but their super helpful staff recommended D’Arenberg “The Galvo Garage” 2007 and it was divine. Yes, the dinner and planning took a bit of time and effort, but Jason and I both really enjoyed the meal. It was fun to have the kids help us prepare, serve and clean up too! It was a much more relaxed, romantic and meaningful dinner than being in an overcrowded restaurant for Valentine’s Day! Let us know if you decide to celebrate Valentine’s at home and let us know what you did and send us your pics! Hubbies, boyfriends…feel free to take the lead on this one too! 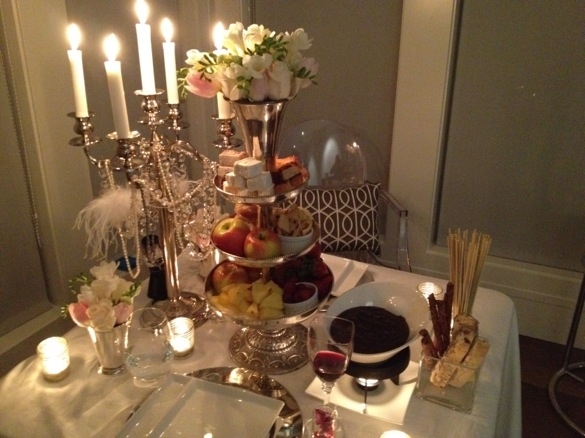 If you’re not much of a cook, a romantic dessert works or cocktails and appies!